This animated armor has no wearer - for now. I always loved that armor. It made him look like an alien space-marine. 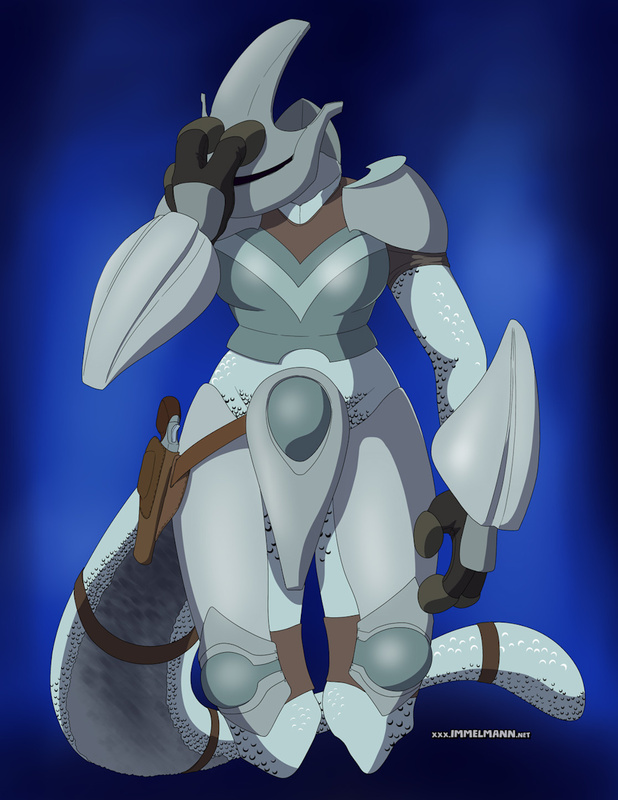 As it happens, I'm in the early stages of working on a story involving an animated armor. Though instead of Pokemon, mine's a more traditional medieval fantasy.